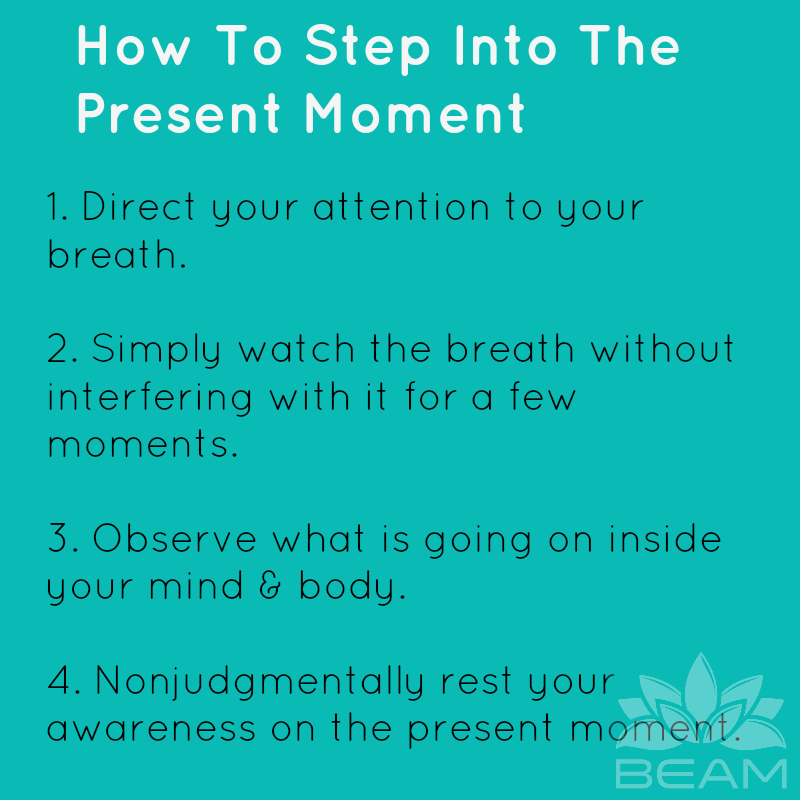 There are many ways to step into the present moment no matter what circumstances we find ourselves in. Here are 4 steps that I use to return to the present moment that I would like to share in order to help others find a way that works for them. *Continue to be aware of your breath during points 3 and 4. This short guide will not work best for everyone but focusing on the breath alone is always a good way to begin to root yourself in the present moment. Please tell us your way of coming back to the present moment! This entry was tagged beamindful, breath, guide, list, mindful, mindfulness, present moment, steps. Bookmark the permalink.